This varies a lot due to different material choices. Most roofing contractors are skilled at installing many different systems. A poorly installed system may only last until high winds come sweeping through your town. A well installed system is going to last longer than the manufacture warranties it for. Many factors go into the life expectancy of a roof. Including southern facing exposure, drastic temperature changes in different regions, the amount of trees and shade the roof receives, severe or coastal weather, the contractors skill level, and of course the brand of shingles and underlayments. 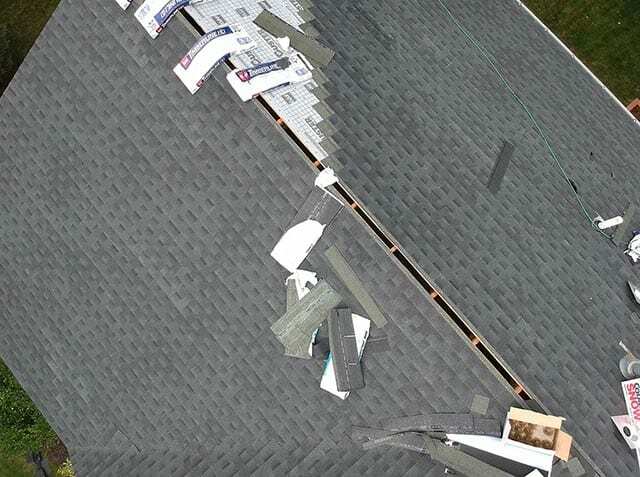 Shingle roofing systems – roofing contractors who are certified usually are the best choice for installing a new shingle roof because they can offer the extended manufacturers warranty. Most certified installers have been trained to install a roof per spec and can not get a certification without the know how. This alone will guarantee your roof is installed properly; having enough nails to prevent high wind blow offs, installing all flashing correctly to prevent premature leaks and guaranteeing the use of premium materials as most manufacturers will not extend a warranty with the use of knock off materials. When certified roofing contractors install a full warrantied system you can expect to get 20-25 years out of a moderately weathered and or sheltered home. Having a lot of trees around your home can be either great or detrimental to your roofs life expectancy. Trees will cause more harm to your roof than good, causing moss to grow. Once the moss reaches a certain point it starts getting in between the shingles. Once this happens the moss absorbs any moisture and feeds right onto your roof decking, where if it’s not leaking as of now it will cause damage to your decking (which will cost more to repair later). A well sheltered shingle roof will last 25-30 years. These well sheltered house’s would also most likely benefit by having gutter guards installed as to some houses in the woods need to have their gutters cleaned up to 5 times a year. The quality of shingle will also greatly affect the life expectancy. The quality of shingle will also greatly affects the life expectancy. Top brand shingle companies have developed their shingles through years and years of research and development. GAF recently installed a roof using no nails or any fasteners. The roof was put under extreme 140 mph wind conditions and remained fully intact. Also GAF is the only shingle company that makes a shingle that is 50% thicker known as their ULTRA line. These shingles are known to last anywhere from 30-35 years and also improve the looks of the roof because the increased thickness increases the shadow lines creating more contrast for an overall fancier look. The quality of underlayments used under the shingles will be another determining factor on how long your roof will last. An upgraded GAF Deck Armor roof allows the decking to breath while not letting moisture in. This will allow your houses attic to remain cooler in the hot months decreasing the overall roofs temperature preventing the shingles from prematurely aging, due to extreme temperatures. Also a higher quality Ice and Water shield will stick tight to the nails penetrating it so that no moisture will get in between the nail holes if you do have ice damns building up along your eaves. A lot of roofing contractors will try and save hundreds of dollars by using the cheap store brands of ice and water barrier which does not fully adhere to the roof decking, allowing ice build up to rot out the bottom few feet of decking. Metal roofing has an average life expectancy of about 50 years. It is important to only use contractors who have experience installing metal as it is a highly skilled trade. Metal is something you put on your forever home. Standing seam is the Cadillac of metal roofing and is going to have little to no maintenance due to a snap lock panel system. Corrugated roofing is more economical but will need some maintenance from time to time because it has exposed fasteners. These exposed fasteners have little rubber washers creating a watertight seal that eventually fail over the course of the roofs lifespan. To properly maintain these penetrations and avoid leaks they will need to be caulked after about 20 years. 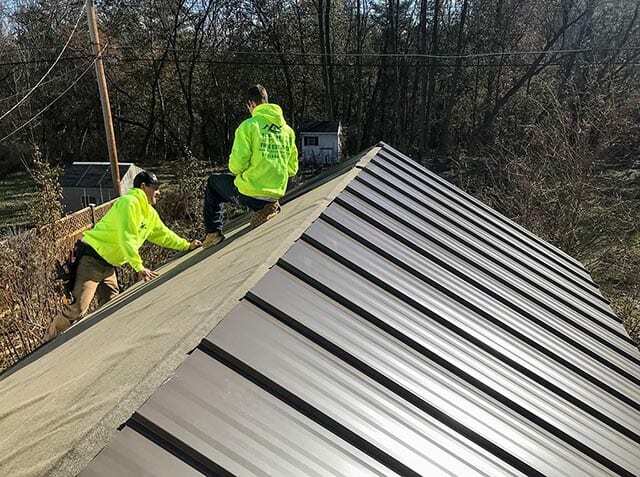 Taking into consideration the maintenance and overall price of a corrugated metal roofing system, it still remains a huge ROI compared to two and a half lifespans of shingles. Cedar shakes can be expected to last around 30 years. This system will need some maintenance from time to time. The color of cedar shakes darkens and looks more natural as years go on. The overall cost of this system does end up costing around the same price as metal but will not last as long and is typically only purchased for aesthetic purposes. Cedar shakes do come in metal and composite look a likes which will last a longer lifespan of 50 years. Most roofing contractors will not install cedar shakes due to inexperience. 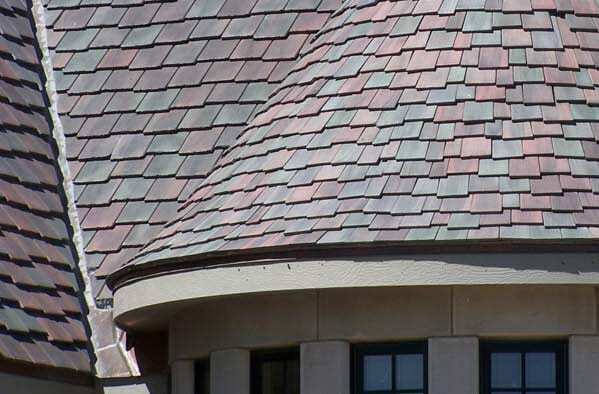 Slate is the longest lasting roofing product to date. Some slate had lasted almost a hundred years in the right conditions. Most slate is going to start looking rough and needing continuous maintenance after about 75 years. Slate now comes in composites and can be expected to last just as long as real slate. Roofing companies who can install slate are usually hard to come by. Most contractors will not quote or repair slate, as you have to be highly skilled in order to not cause more damage than good. Also popular for smaller porch roof sections on residential homes and EPDM will last you on average between 20-25 years. Most manufacturers offer 20 year full coverage warranties if you use their full roofing system, meaning you have to use all quality, name brand seam tape and cover tape. Commercial roofing companies are usually certified by manufactures because high standards must be met in order for the manufacturers to back their labor and material warranties once they are installed. Commercial roofing manufacturers will send inspectors out after a roof is complete to check on the contractors work. If the contractors work is sub par a warranty will not be issued until all details have been performed to spec. TPO will last twenty to twenty five years. TPO will last twenty to twenty five years. There are usually only a few roofing contractors in each area who are geared towards installing TPO. Contractors usually don’t install this system because they do not have the expensive equipment needed to perform heat welds. TPO is also a white reflective roof which will add years to your cooling units lifespans. Overall you only need high quality materials and high quality workmanship to get the most bang for your buck over the long term. The best way to get the longest potential lifespan out of a roofing system is to choose a quality product that offers a full warrantied system which has to use all high quality accessories to qualify for full coverage. Make sure to ask your contractor which materials are being used and check the contract for brand names on underlayments. Choosing certified installers who back there work up with their own in house warranty is the safest bet to achieve maximum lifetime efficiency out of the materials you invest in. Check that the roofing company is listed on any websites they claim to be certified by insuring that you will receive an actual manufacturers warranty. Most shingle companies will mail you a warranty within a month after your replacement offering you piece of mind for many years to come.